After her husband’s death, Pennsylvania widow Ann Sellars forges a business partnership with Toby Jackson that quickly becomes a close friendship. But when Toby proposes marriage on the eve of leaving for England, the pain of her husband’s passing is still too raw and Ann refuses. Eighteen months later, Toby is returning. Can Ann bid goodbye to the past and love again? 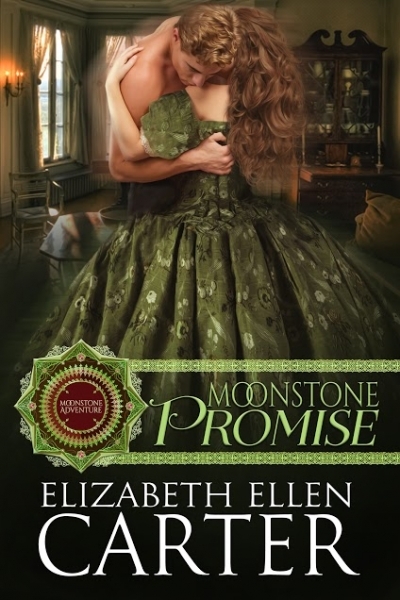 In this short story, told from the viewpoint of Ann Sellars and in letters from Toby, Elizabeth Ellen Carter reveals what happened to Toby Jackson after the conclusion of Moonstone Obsession. and, in flashback, the events that led Toby to leave Pennsylvania for England.